While I am a little nervous to leave the boys I'm also super excited to just get away! In preparation I have been putting together wish-lists of items that I want for each leg of the journey! I have decided to do a little series on Wednesday's (What to Wear Wednesday) of these specific items in hopes of keeping things organized for myself as well as inspiring those of you heading on your own vacations plan your packing list! 1. Bayside STL Heart Hat - I don't know about you but I can't imagine doing my hair the morning of any trip. Especially since our flight leaves around 6 am! This hat is not only a necessity but also super cute and I can represent my city at the same time! 2. Camp Director Tote in Mint - I'm obsessed with this tote bag! I want it so bad, it seems perfect to travel with! I'm always looking for a sleek, cute and functional bag to bring along on a trip and this one fits every single one of my wants! 3. Army Green Cargo Pants - Comfort, comfort, comfort. That's the only word I care about when traveling and these pants seem like they fit that bill while being cute and flattering as well! 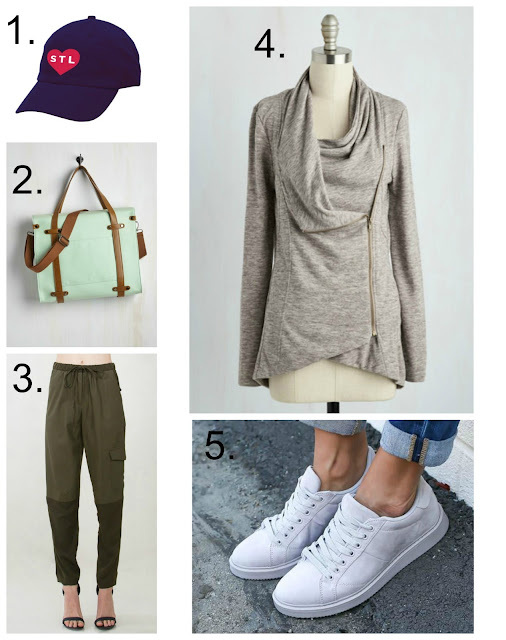 I can definitely say that I want these to be a staple in my travel wardrobe! 4. Airport Greeting Cardigan in Oatmeal - Again with the comfort, this cardigan can be worn closed or open, which is great because we are traveling in November and if anyone knows anything about St. Louis, it's either going to be colder than all get out or hot as heck, okay maybe not that hot but still. To top it off we are traveling to Mexico so having a versatile cardigan to wear in the weather change is a must have! 5. Reggie Sneaker - Another aspect of comfort while traveling is foot wear and for me it's sneakers all the way! They're perfect for any weather and let's face it, they're cute at the same time! That does it for today's outfit inspiration! I hope you all enjoyed it and come back next Wednesday for the next installment of What to Wear Wednesday!! 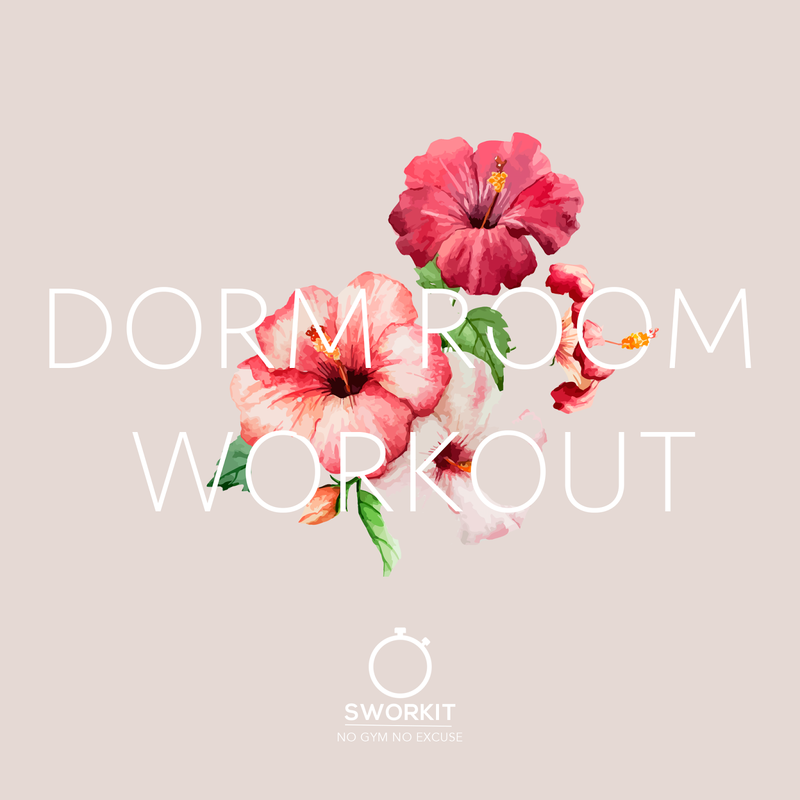 With the Fall Semester's starting, Sworkit and I have teamed up to bring you all an incredible series of workouts that can be done in the small area of your dorm room or apartment!! Not only are these workouts perfect for the college student they are also awesome for those of you who live in smaller apartments, don't want to make a lot of noise while working out (like me once I put the boys to bed at night!) or if you don't have a lot of time! I can't begin to explain how excited I am to be able to bring you all this awesome new series of workouts. Every Monday be sure to check back for the next workout! This weeks workout is an intro as to what is to come the next multiple weeks!